Handley Page Hyderabad and Hinaidi biplanes were replaced by Hawker Harts and Hinds, and the trials of the Handley Page H.P. 38 resulted in a production order as the ‘Heyford’ bomber. The Vickers Wellesleys of the RAF’s Long Range Development Unit trained at Upper Heyford in 1938. On the outbreak of war in 1939 Bristol Blenheims left for France to join the British Expeditionary Force’s Air Component for long range reconnaissance work. Upper Heyford became a training station for Bomber Command and provided aircraft for leaflet dropping and the first 1,000 Bomber Raids. 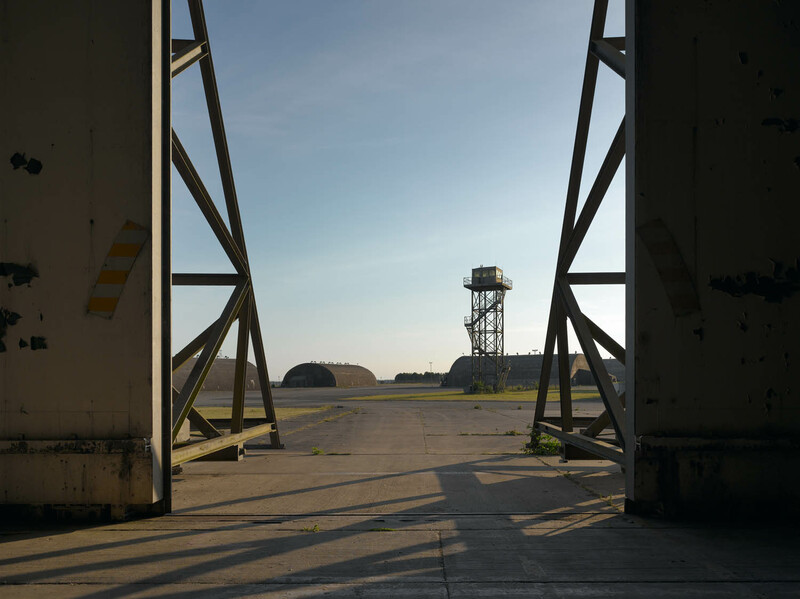 As a result of the Cold War in 1951, the USAF took over Upper Heyford. Tankers supporting bombers based in East Anglia were joined by Strategic Air Command nuclear-capable bomber units on deployment in Europe. Facilities were developed to accommodate the larger USAF aircraft. Boeing B-47 jet bombers were deployed on ‘Reflex Alert’ from 1953 to 1965, ready to take off in 15 minutes in response to Soviet aggression. The 66th Tactical Reconnaissance Wing was based at Upper Heyford from 1966 to 1970. The 20th Tactical Fighter Wing arrived in 1970, exchanging its North American F-100D Super Sabres for General Dynamics F-111E Aardvarks in 1971. The F-111 could fly low-level strike and attack missions in all weather conditions, day or night, at supersonic speeds. The three squadrons of the 20 TFW were joined by the 42nd Electronic Countermeasures Squadron in 1984. The 42nd ECS operated the EF-111A Raven or ‘Sparkvark’ to ‘jam’ hostile radar systems. In 1986 42nd ECS aircraft took part in the bombing raid on Tripoli, Libya. Upper Heyford aircraft were deployed to Turkey and Saudi Arabia from 1990 to 1992 in support of Gulf War operations against Iraq. 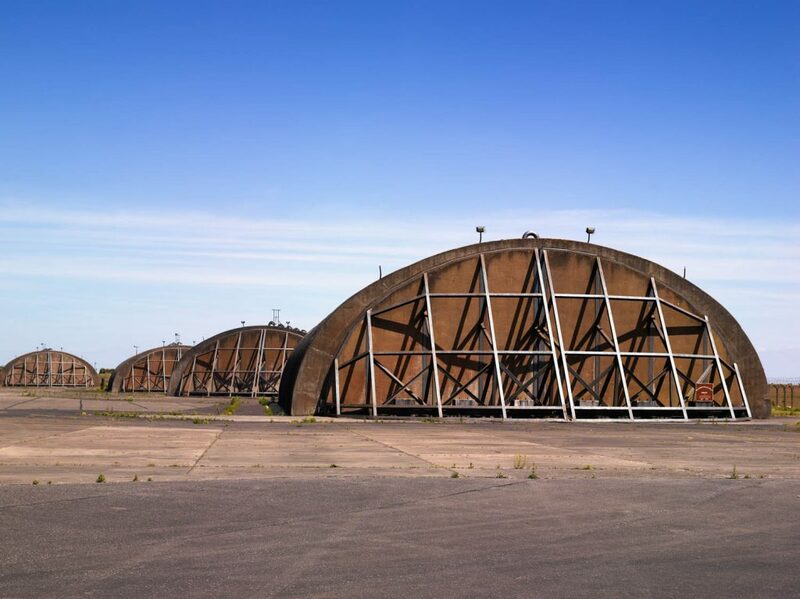 The end of the Cold War in 1989 and US Defence Reviews led to the decision to withdraw the USAF from RAF Upper Heyford and close the airbase. In 1993 the ageing F-111s were retired, and the three 20th Fighter Wing Squadrons were re-activated in the USA. 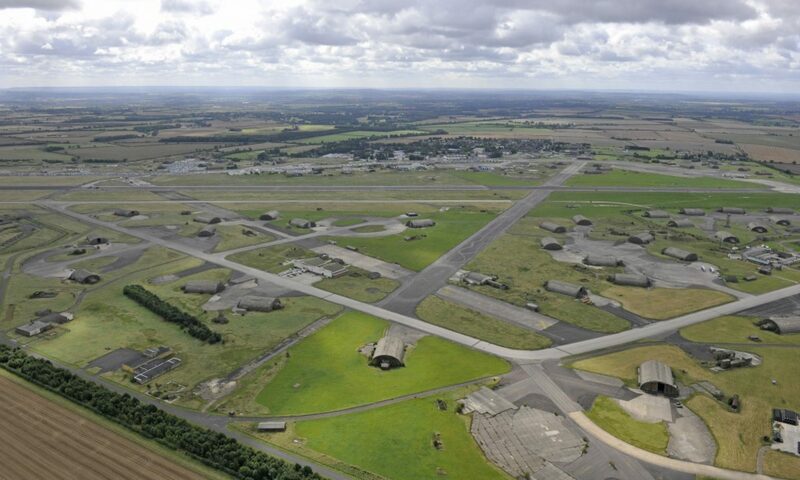 The Ministry of Defence disposed of RAF Upper Heyford in 1994. The site is now owned and under development by the Dorchester Group. It has been surveyed and recorded by English Heritage and a number of the buildings are now scheduled monuments.